Nobody loves cooking in a small space. 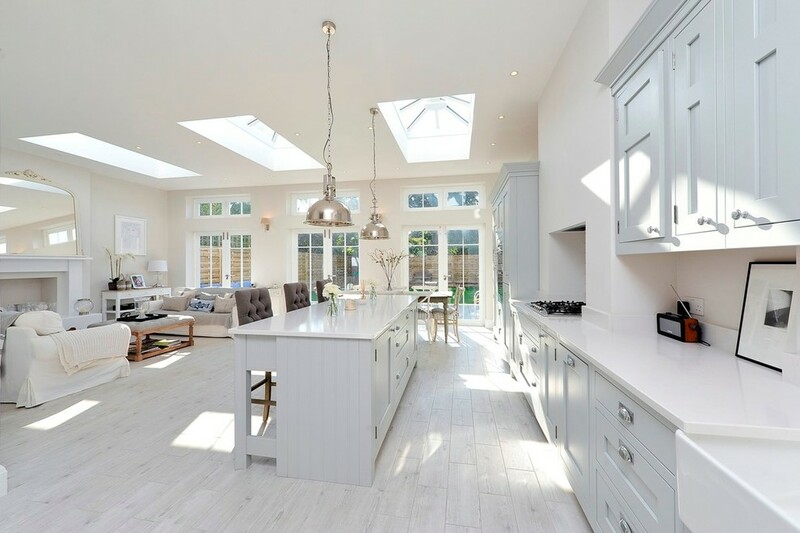 Spacious kitchens are in vogue today, giving ample room for cooking and also placing a dining table, where the family can eat. 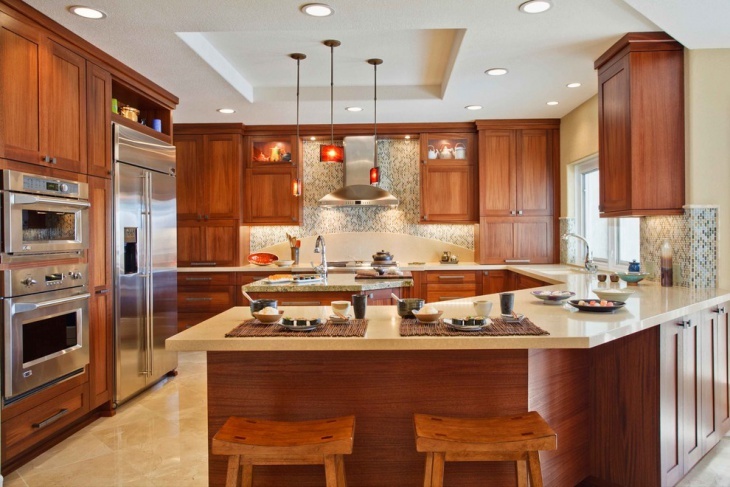 The spacious kitchen designs described below will add beauty and functionality to your kitchen. 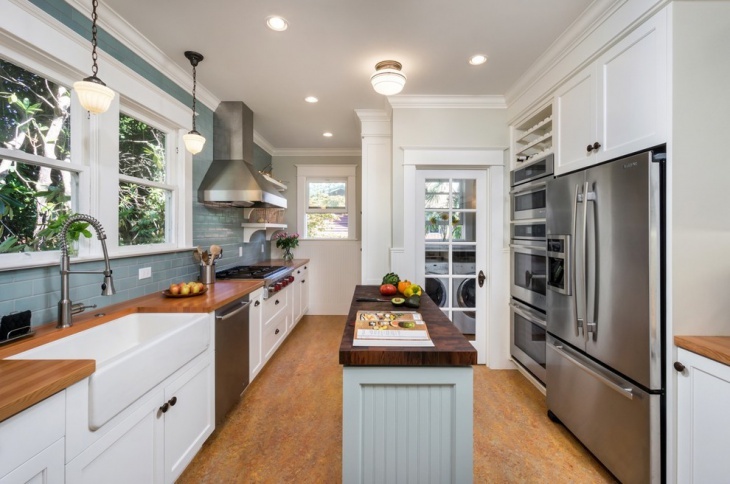 Go through some of them and get ideas on how to rebuild or renovate your kitchen. 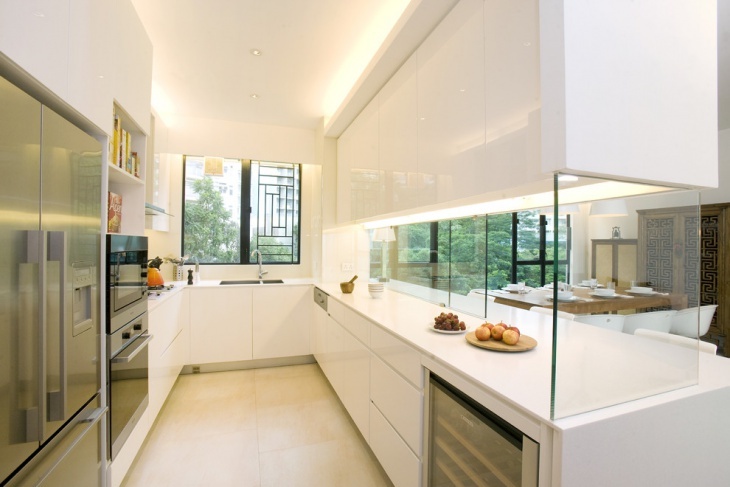 This is a contemporary, clean-cut kitchen ideal for the modern house. It has a lot of space with a fantastic dining table added to it. 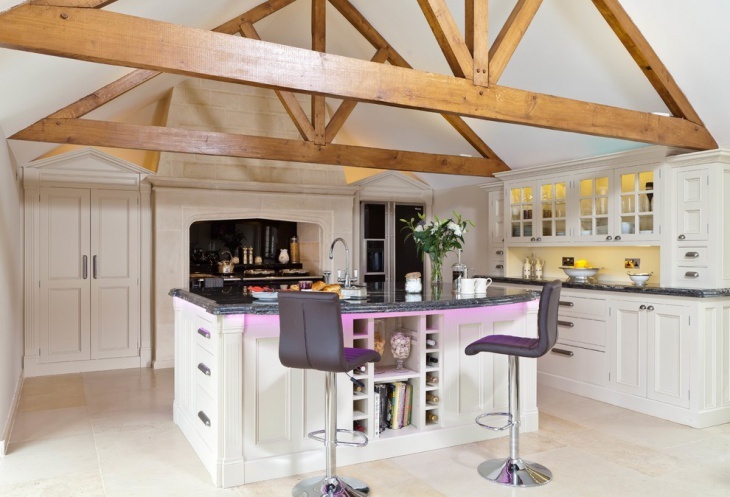 This is ideal for a loft, where space is in plenty. 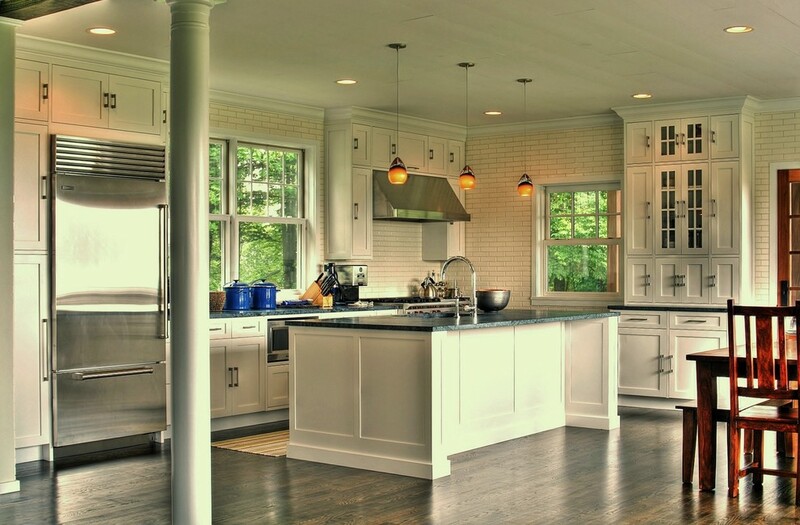 The kitchen is set aside from the living room area, giving the illusion of a large kitchen. 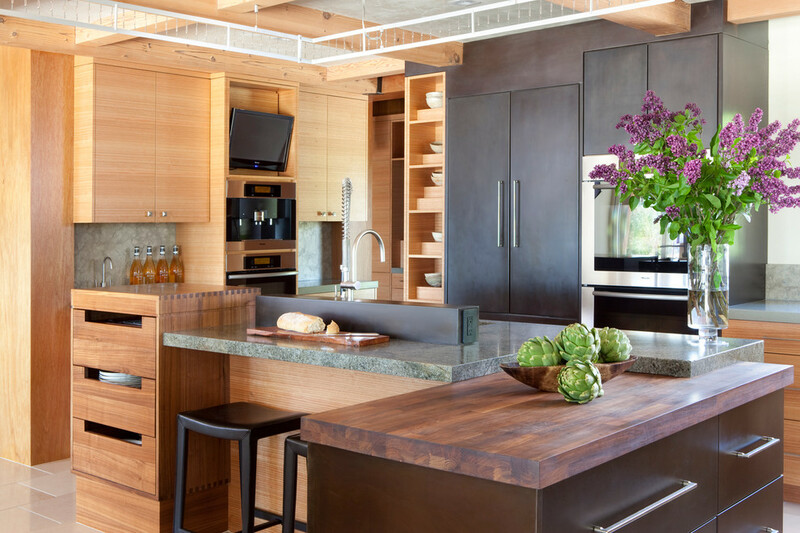 This is an eclectic kitchen made of wood. Some of the wood is in its natural colors while the rest is in a lovely green color for contrast. 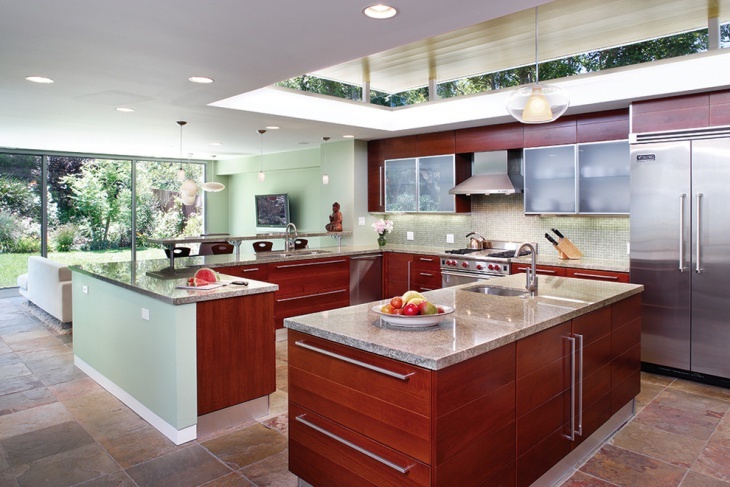 This is a contemporary and clean kitchen with a lot of steel surfaces. This gives it the right atmosphere for a culinary expert to work well in. 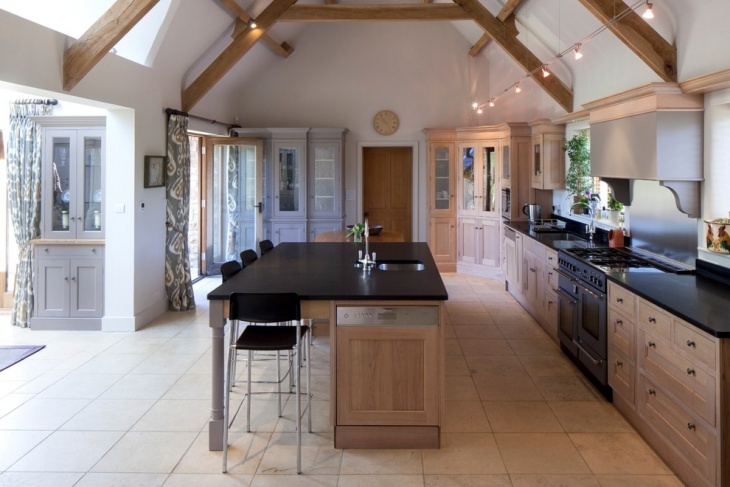 This is a kitchen that reminds you of the farms but also has modern furniture and surfaces added to it. 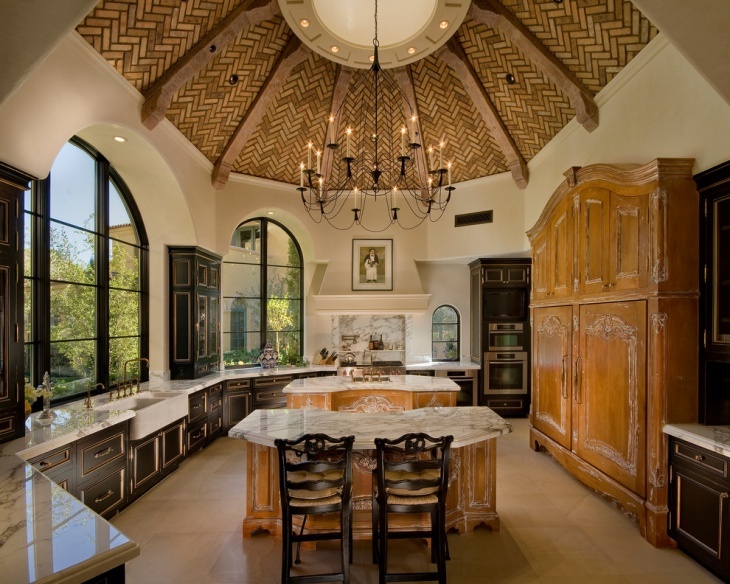 If you are thinking of remodeling your kitchen, then this is a great design to use. The space in the center allows you to reach various surfaces with minimal movement. 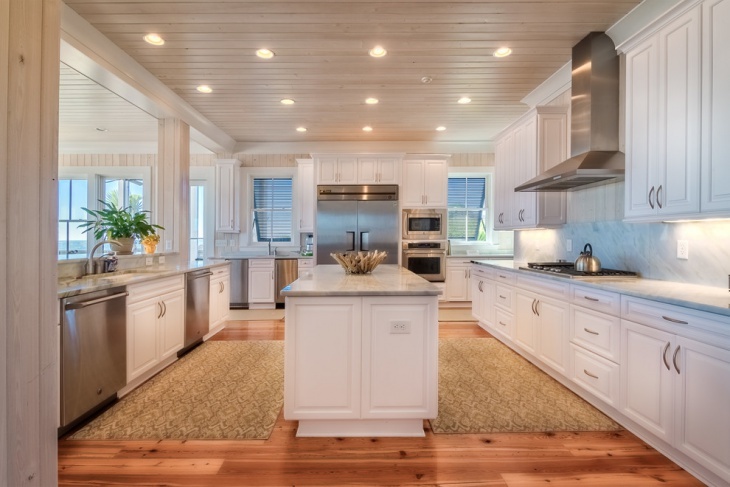 This is a great kitchen where the counters are arranged around the cooking area, allowing you to cook and serve without moving around a lot. 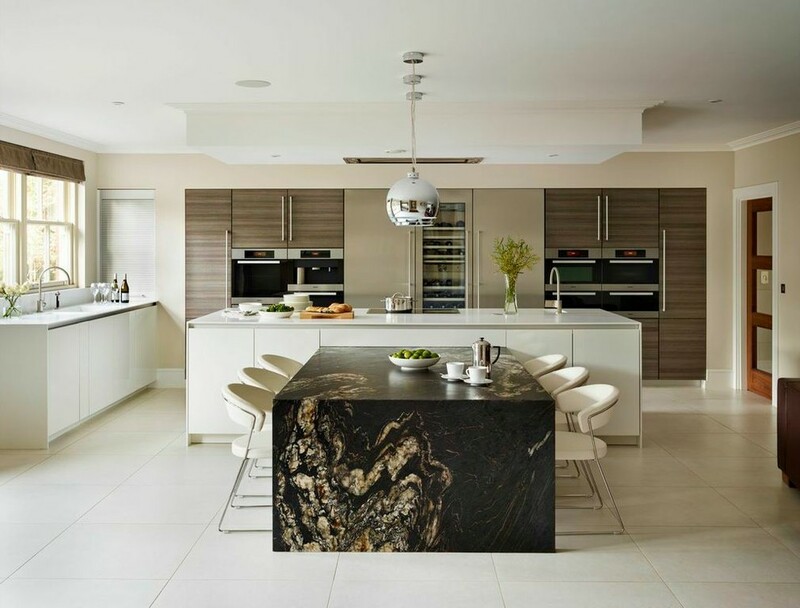 Ideal for the contemporary home, the black and white surfaces make the kitchen look spacious and modern. The surfaces are clean-cut. 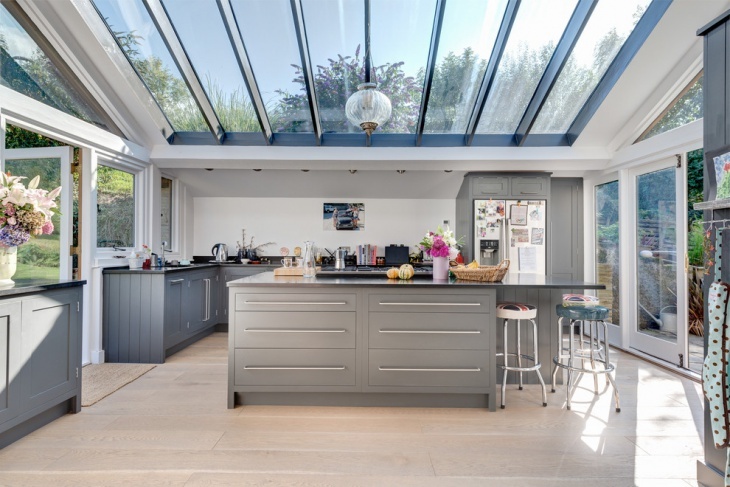 As the name suggests, this kitchen is placed in the middle of the room, leaving a lot of room to move around. It is the focus of the whole kitchen. 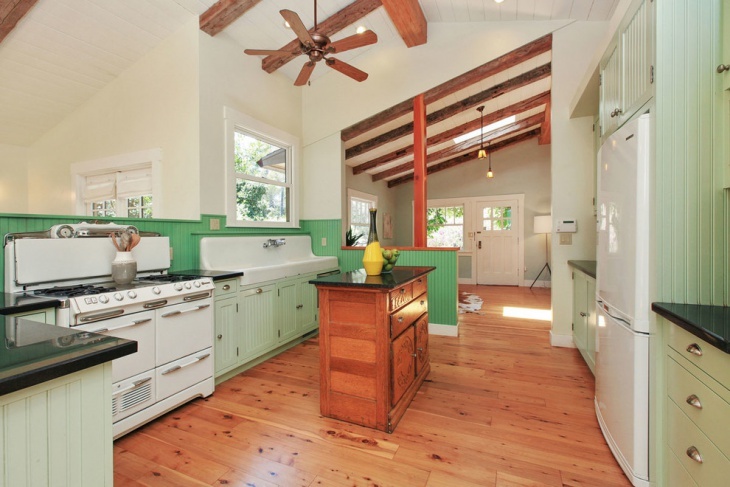 This is a kitchen that you would find in a beach house. There are a lot of wooden planks used on the floor and roof. 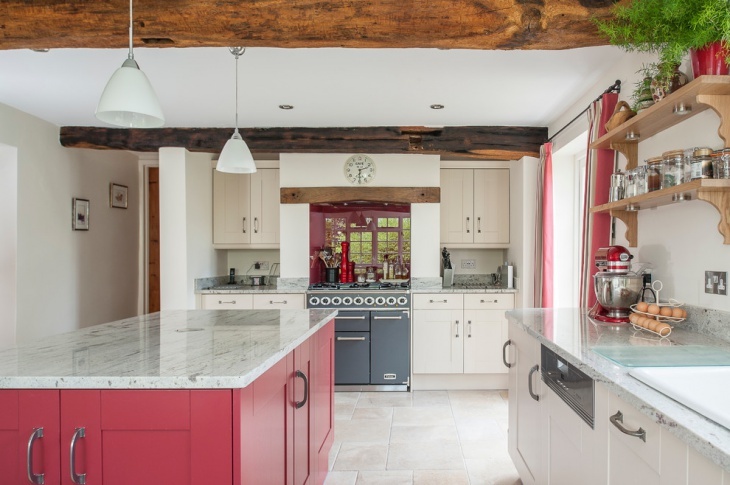 This is a kitchen that has a cottage design, but most of the surfaces have a red color. It gives the room a warm and homely feel. 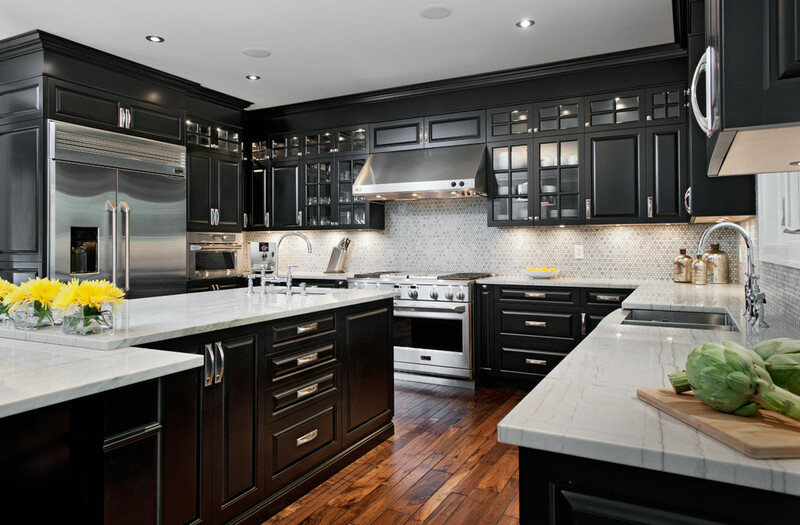 The kitchen surfaces are made of marble, and the color is perfectly contacted by the black cabinets built into it. This is a kitchen that is built for cooking and also for reading. 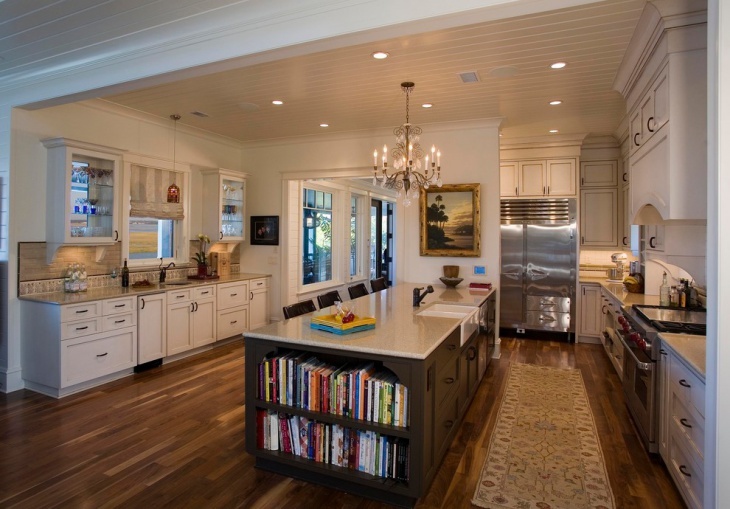 There are cabinets that have books, which can be read on the counters. Kitchens are a place where tasty food is created. They should be just as tastefully designed. 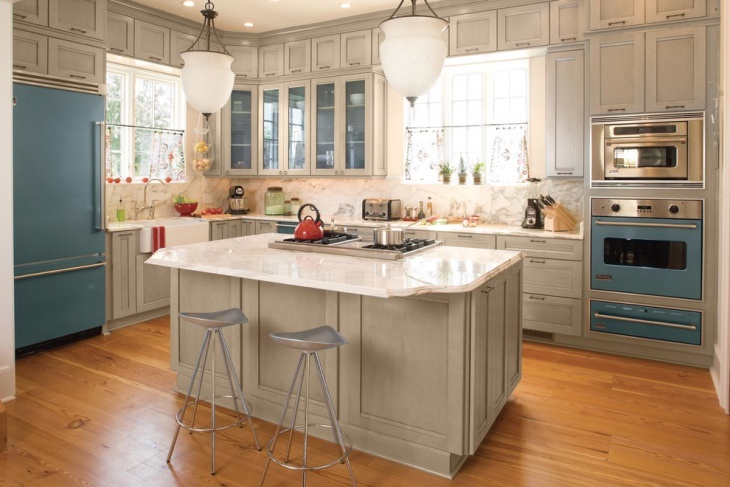 The kitchen designs described above are fantastic for adding color and character to your kitchen.